12" X 10" oil on gesso primed board, £100 unframed. 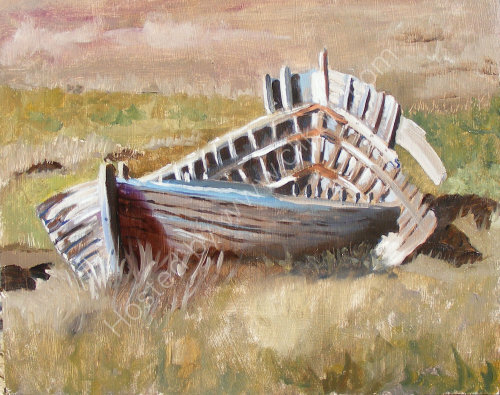 This boat has been rotting very slowly in Blakeney for many years, the light on it on this day was perfect. I wonder who owns it if anybody does, or has it outlasted its last user. One day the sea will take her.